Nature inspired knowledge and technology of ancient cultures and civilizations utilized as for the description of its methods, principles, information, content a very unique language that refers to nature. Nature principles, laws, rhythms, cycles were observed, in detail and in its several dimensions or levels of systemic self-organization, from cosmology to molecular and quantum physics, from medicine to engineering, from theory and models to praxis, application and innovation; from natural science to theology, from social science to technology. Even to modern times, science, technology, engineering, leadership and social management utilizes nature as reference for the ideation of solutions and models that will help humanity be more effective into achieving an advanced quality of living and capacity of wealth generation, and sustainable living globally. We learn from our past and from nature in order to achieve the development of a more advanced global culture and civilization. language, artificial intelligence, culture, civilization, nature inspired, neuroscience, education, skills, methods, knowledge, leadership, engineering, multidisciplinary, research, algorithms, cyphers, fibonacci, mathematics, sustainable development. A translator of this kind will communicate fields of study, principles, methods, tools and knowledge utilized by ancient cultures and civilizations through geometrical values (structures) as well as through tones (frequencies) and algorithms (sequence of cyphers), which are correlated to specific cognitive skills, brain activity, body regions, emotions, behavior, archetypes, knowledge and methods. 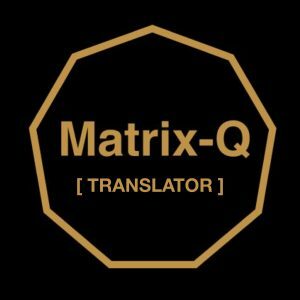 The Researcher has engaged into test trials, Matrix-Q Translation, with effective results and innovative applications as following up process in fields strategic management, human capital, martial arts, performing arts, gender, gamification, assessment of historical events and culture traits since 2000. This tool will be useful for multidisciplinary research as a single language platform that serves for purpose of communication and collaboration between professional disciplines, from natural science to social science, from technology to leadership, from human potential studies to quantum physics. It is a praxis of the Matrix-Q Research Institute to create a bridge from the past into the future. By the futurist study of knowledge and technology of ancient cultures and civilizations, aiming to solve on advanced predicted issues the emerging global culture and civilization will need to face. 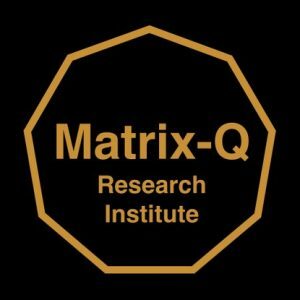 Collaboration: by the Matrix-Q Lab 7 online at the RG Network. As reference publications by the Matrix-Q Research Institute, on Primordial Symbolic Language, [ www.e-library.luisdanielmaldonadofonken.info ]which is a nature inspired language utilized to communicate at least 9+ levels of meaning, through nature inspired images or symbols. In general the language (or set of terms) will as well define the local or regional culture, its patterns or agreements on perception, emotions, decision making principles, values, judgement of value, behavior and leadership guidelines, language (243, 729 and 972 key terms), gender related skills, customs, and others which define their culture. ( C.G.E. : Culture Generation Engine). A C.G.E. will evolve in time and expand or change, with inclusive approach, and merge or collapse, co-create or by encounter and interaction with other C.G.E.s. For example the Romans CGE, or the Celts CGE or the Nordic CGE or the Chinese CGE, or the Musleem CGE or the Vedic CGE, and others. In modern times a know CGE in expansion would be the global modern culture CGE, and is most advanced official version defined by the SDG2030 (17 sustainable development goals, by the united nations) which suggests principles for decision making, culture and civilization advancement globally. Along 2016 and 2017 the researcher will complete a new set of publications (350+) and share them with the international scientific community, and start up a new division of his non profit organization dedicated to apply the knowledge and skills acquired since 1993. Along 2017 and 2018 while the study of a new mathematics system [ Matrix-Q Mathematics or Primordial Technology Theta Mathematics, or PTT Mathematics ] which utilizes geometric values (structures), and cyphers (tones and frequencies) that are utilized in order to represent and organize natural, artificial and human phenomena, as well as for the design of nature inspired algorithms; the researcher discovered 1.) a pattern of 36 cyphers, tones, hidden within the Fibonacci series, which also follows the Fibonacci numbers generation principle and 2.) 100s of sets of tones and combinations, from which only 9 of them are bing studied. Following research will result in the advancement of Matrix-Q Tools and methods, skills and knowledge. The recruiting programs and fundraising campaign starts in 2018. As the data to be generated is vast and involve several fields, campaigns will be more specific, and associated to multidisciplinary research expeditions, fields of study and or applications. A data generation project is a very specific field of data generation and research, with focus on particular application of knowledge, tools and skills. The following campaigns have been scheduled for 2018-2019, while additional campaigns not listed below will be added to this list, once the necessary teams have been recruited, trained and prepared. For Additional Payment Gateways please contact us for more details. We also use Bitcoin, Blockchain, Paypal, WesternUnion services. Would you like to do a donation now? PAYPALME NOW!